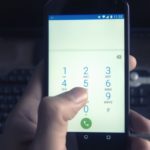 Trusted Advisor Program - Mike Snyder Service Center, Inc. Interested in Buying a Previously Owned Mercedes? 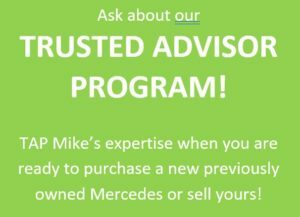 Mike Snyder’s Trusted Advisor Program (TAP) is designed to ensure your new-to-you Mercedes is what you think it is. Purchasing any pre-owned vehicle can be scary. Was the seller honest? Did the owner disclose EVERYTHING about the vehicle? You trust Mike Snyder with your car now. Trust him to help you get your next one. While Mike cannot guarantee the vehicle, HE WILL check it out so you know the true condition of the vehicle. If you have a Mercedes you want to sell, call Mike. 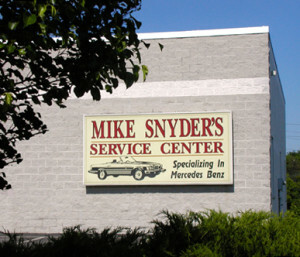 In addition to knowing who is looking for a previously owned Mercedes, Mike Snyder’s Service Center is located on a high-traffic roadway for maximum exposure. 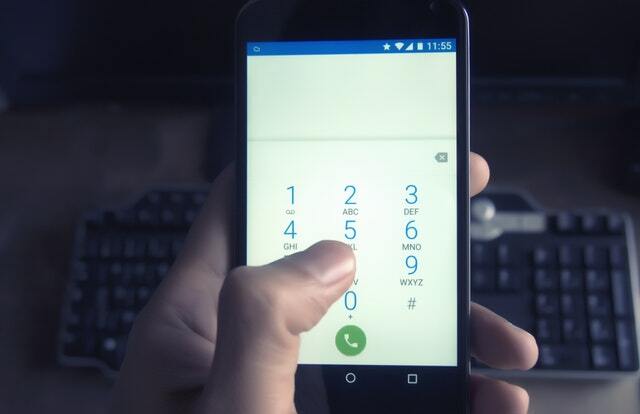 Let your Trusted Advisor Mike Snyder help you sell your car. No strangers coming to your home. The confidence of a trusted Mercedes service specialist who knows your car to answer buyers’ questions. To learn more about the benefits of our Trusted Advisor Program, please call Mike at 717-751-0308.